We are closing on our new house on January 31st. Im spending too much time with all these thoughts and plans swirling around in my head. What colors to paint. Should I paint every room? Do I want neutrals or colors. 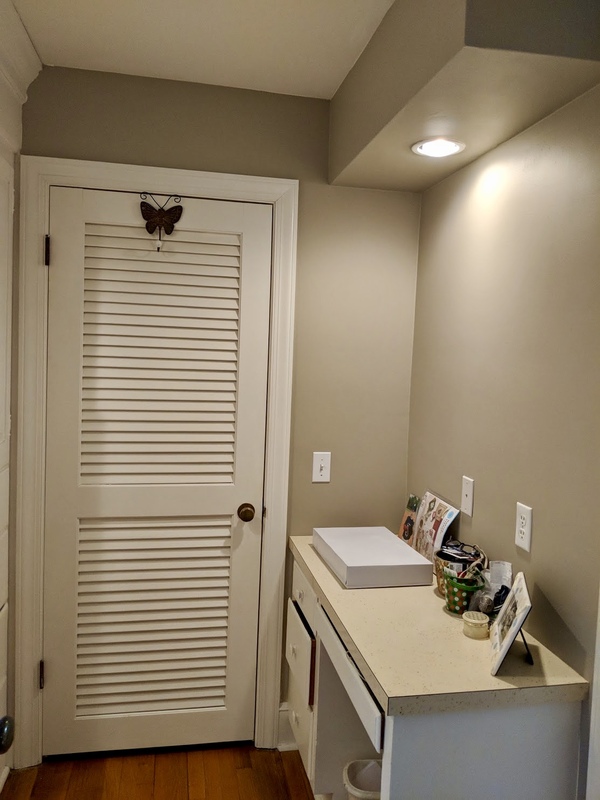 Neutrals in some rooms, colors in others? What plants to plant. 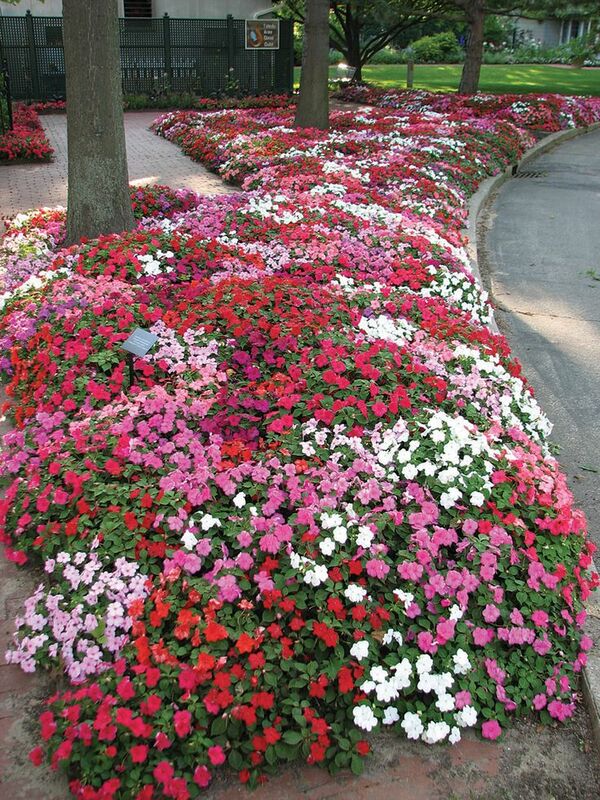 Hydrangea’s and Roses, definitely some Impatiens. 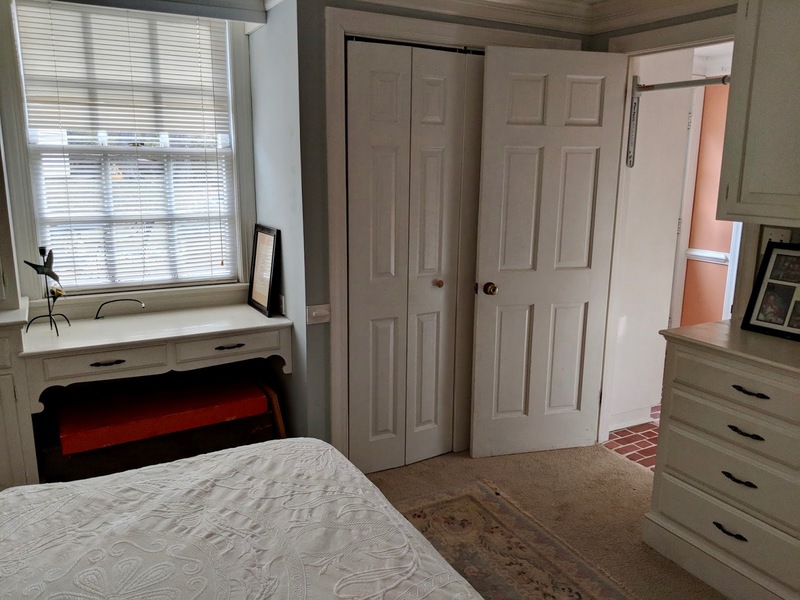 Where to place furniture and art work. Living room will have our big couch but do I put my favorite chair in there or in the family room?it never ends. I’m spending so much time scour Pinterest, Instagram and blogs trying to decide what my style will be. I’m what I would consider hand me down eclectic. which won’t change, but what is the overall feel I’m going for. 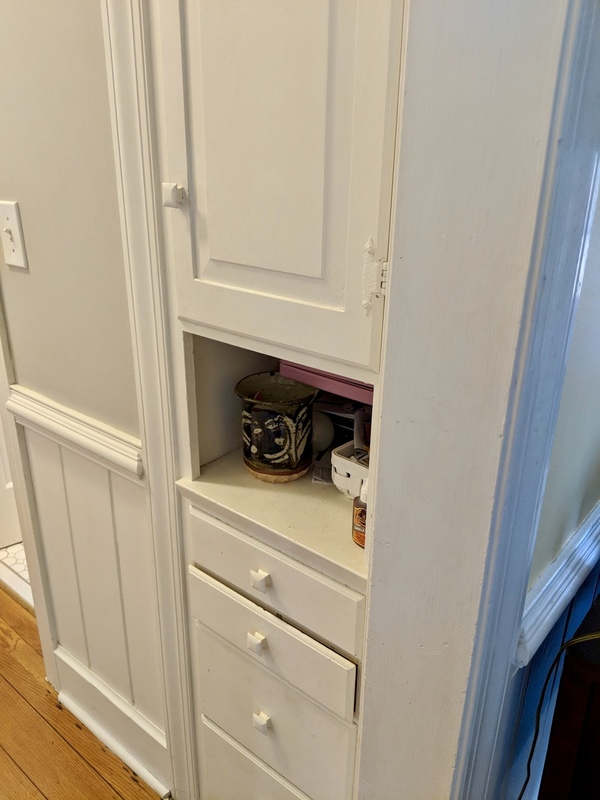 What I really love about this house is all the built in storage. It is homey and cottage-y. I will make sure to enhance all the moldings and builtins with my paint choices. White trim and cupboards is a definite yes. 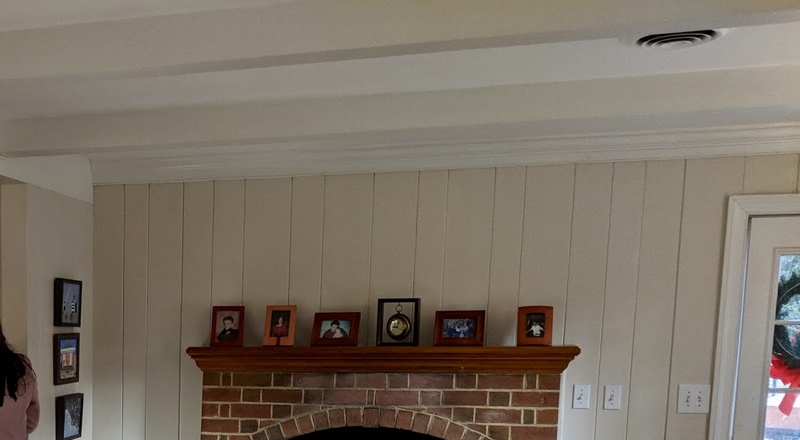 The family room and kitchen have beams that have been painted white and I will keep that, but these and the crown moldings are getting lost against the white ceilings. I will change the ceiling color just enough to make these features the glory of the rooms. I’m pretty sure when I saw the builtins I was sold. Totally ready to move in. I love the “dressing room” part of the master bedroom. 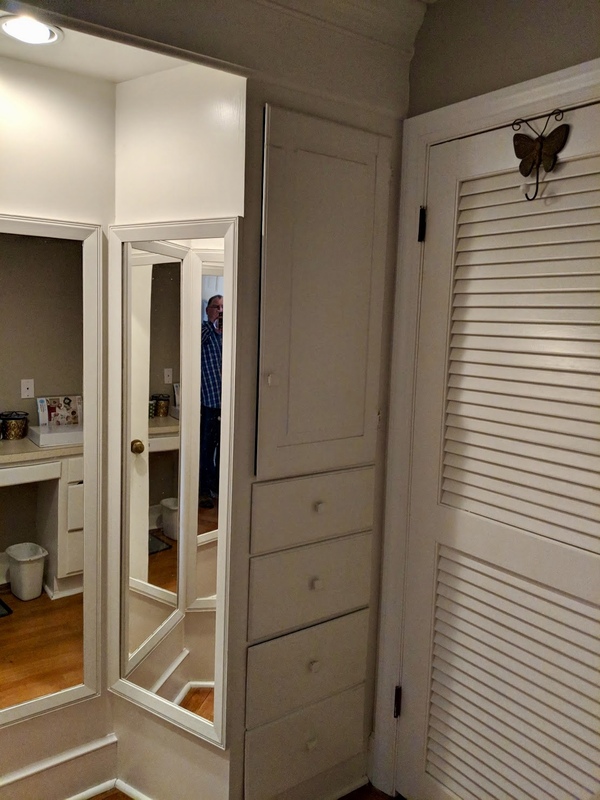 There are matching builtins on either side of the 3-way mirror and a make up desk. I can imagine a large mirror hanging above it with some new farmhouse style good lighting will be perfect. Eventually I may replace the counter or maybe open up the master bath into the dressing room area. 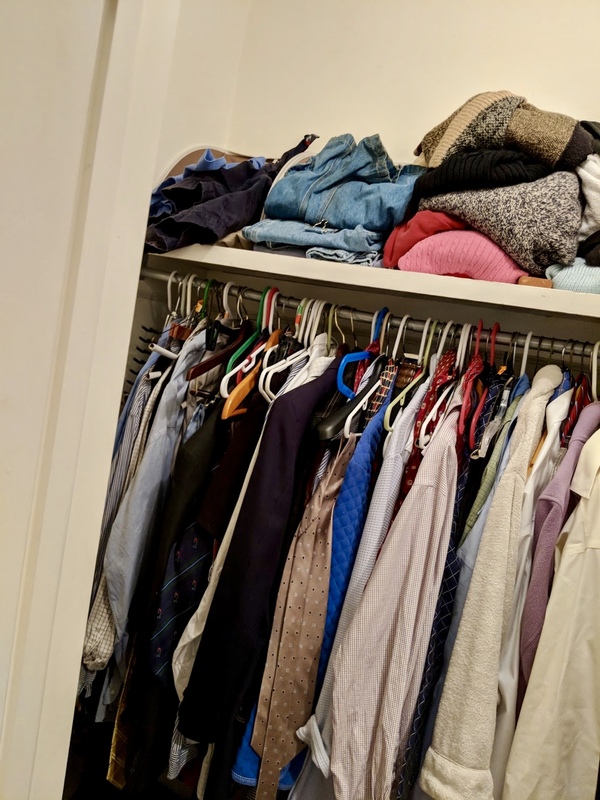 A big challenge is definitely going to be the master closet. and it is just a closet. very basic and very small. With some fresh paint and some smart storage choices I will make the best of it. 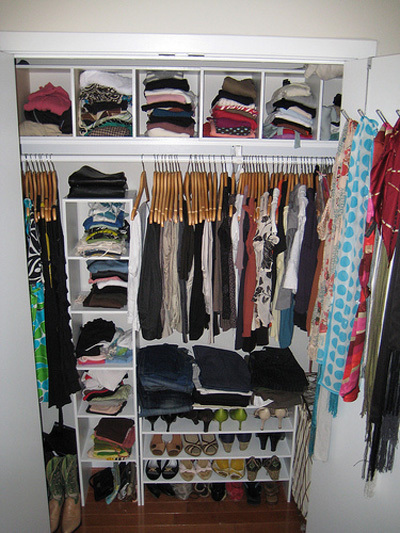 It’s a great time top finally pair down to that Capsule Wardrobe I’ve been planning. Chuck asked why I didn’t want top build a house so I could make it exactly what I want. I do have exactly what I want. to take something good and make it amazing. To be the curator, the editor, the caretaker. This is what I want. Now to get off the internet and finish knitting my hat. To keep my mind from swirling.